Fraddon-based machinery dealership, Vincent Tractors & Plant, has appointed Tim Crewes-Hartland as its new Ifor Williams sales person. With a background in sales and agriculture and a working knowledge of Ifor Williams Trailers, Crewes-Hartland brings a wide range of expertise to the company. He will be responsible for sales of Ifor Williams Trailers from the Fraddon depot, as well as looking to expand sales of the well-known trailer manufacturer within the other depots. 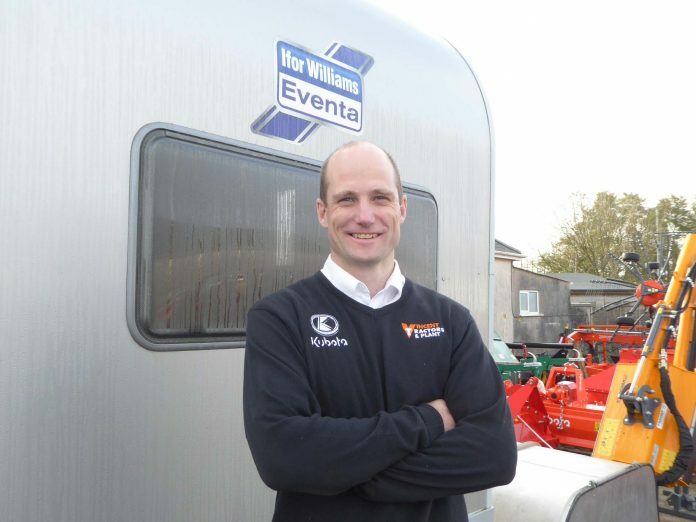 Crewes-Hartland joins the company just as the current sales person for Ifor Williams Trailers, Trevor Readwin, will be moving to work at the new Holsworthy depot. MD, Paul Vincent, said: “The company is currently going through an exciting and challenging period, with the opening of two new depots in Devon.